A boarding kennel like any other solid structure has to be designed correctly and be fit for its function. Is Your Building Plot Large Enough? Once you have built your home on your building plot will there be enough room for a boarding kennel business? It is not just a run of kennels that need to be build but a store room for feed and an office for visitors. You will no doubt require a bathing and grooming room as well as a paddock or fenced off area where dogs can be exercised as well. You should have at least half an acre just for your kennel business in order to keep it separate from your home. Where will clients park when visiting your premises? It is likely that many dog owners will arrive at the same time so you may need room for six or seven cars to be parked at any one time. You do not want to get into trouble with neighbours or your local council for parking in front of other businesses and homes and disrupting traffic when people collect and drop off their pets. Is There a Market For Your Venture? It’s all well and good to want to own a boarding kennel but is there a market for the business where you wish to build? Take time to research other kennel establishments to see if they are oversubscribed. Speak to the council that will license your business and ask if they will approve another kennel in the area. Veterinary surgeries also take an interest in good boarding kennels so visit a few in the locality to see if they would support your new venture. What about neighbours who live near to your building plot, are they likely to complain about the noise from the dogs boarded in your kennels? Nothing travels more than the noise of a barking dog and you do not want to start your new business by falling out with neighbours. Visit them and speak of your plans before you purchase the land or start to spend money. Running a boarding kennel from your home is a year round job. Are you and your family cut out for this kind of life? If you like to take long holidays and have other work commitments and hobbies you may find that running a kennel is not for you. It is all well and good saying you will hire staff but this is an expense that you may not be able to afford until the business is established. Speak to owners of kennels and catteries to gain knowledge of how this type of business will affect your lifestyle. Visit as many kennels businesses as possible and think long and hard on the layout and design of your boarding kennel business. Will your kennels be brick built to your design or will you purchase readymade runs? 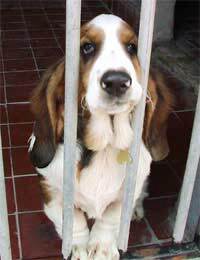 There are companies that advertise to the pet trade who will design a kennel to suit your dogs and your pocket. Remember you need all sizes of kennels for the different shapes and sizes of breeds of dogs. If you use an architect to design your kennel layout make sure he or she is conversant with the requirements of the dogs that will live in the kennels. Work ahead of yourself and start to advertise your kennels while they are still being built so that you can earn an income as soon as possible. Notify local veterinary establishments and pet stores, have an open day and invite the press. Send out leaflets to dog training clubs and offer to sponsor pet shows to gain a presence in your local community. This is all free advertising that will get you known until word of mouth recommendations help your new business grow to success.